Twenty three days and I have collected twenty three tiny oceans. A small scoop of a wave each morning as I walk the coastline. It has been still and stormy, I’ve been at high tide and low. Every day is different and each view is the same. I bend down trying not to get my feet wet, sometimes the jar fills quickly and easily – I find a groove in the stones that the water sits in after a wave. Sometimes I am bent over for ages, left with just foam, the water too quick for me to catch. 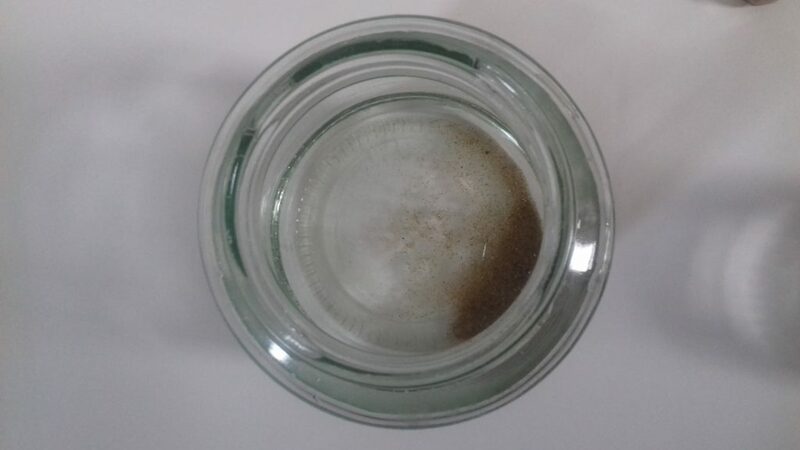 The contents of the jar always starts cloudy, a bit murky and brown. Sand and stones are stirred up, fragments of what else creates the beach is caught with the salty water. On Wednesday it felt as though the whole world had been stirred as the tide continued to smack at the shore, clambering higher and higher across the prom. In this short time I have learned that a loved one has cancer. In this short time I have lost my beloved cat. 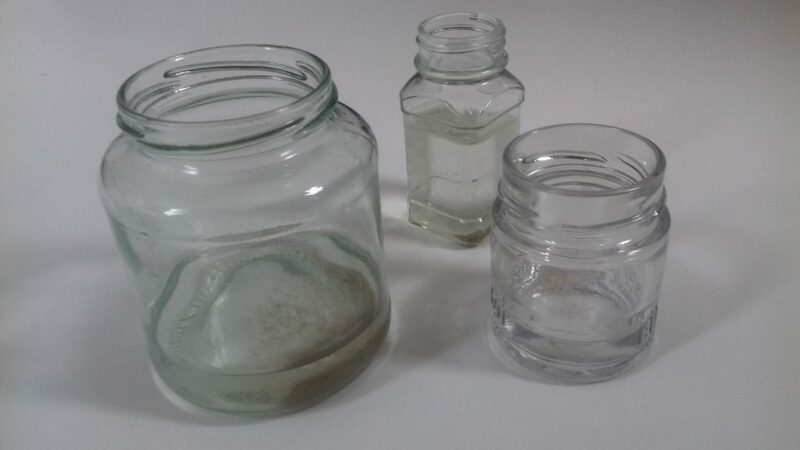 These jars show nothing of that. 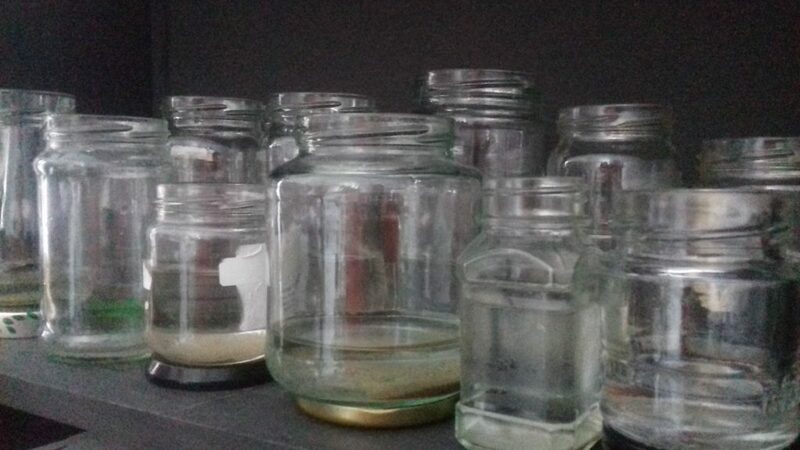 They are jars of memories. Water washes away and water dilutes. They are, for me, for now, a constant. A repetitive ritual to my day. If I do nothing else I will visit the sea and catch a wave, a fragment at least. I had anticipated working with the residue that is left. Today I am urged to replace their lids and keep them safe. This entry was posted in Tiny Oceans on November 9, 2018 by Louise Kenward.